Attention Seniors! Take the time to live the way you'd like and wake up with a smile in beautiful San Luis Obispo. 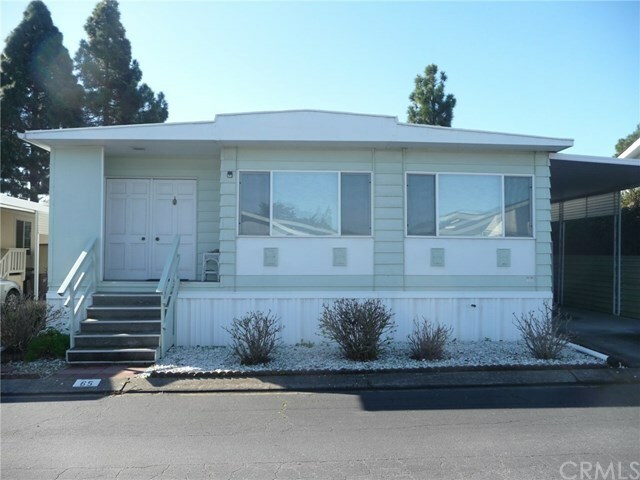 This spacious triple wide manufactured home can be your personal vacation getaway or primary residence. There is plenty of room with unlimited possibilities. Enjoy the formal dining room for social events and entertaining. The master bedroom is enormous with a huge walk in closet and private bathroom. A refreshingly roomy bonus room can be your library, study, craft room, or just use your imagination. For the gardener, a secluded and established back yard garden features Meyer lemon trees, mature rose bushes, and flowering plants. Plus there are no property taxes! Lovingly maintained, this home is sure to please you. Pet restrictions apply; must be approved by park manager. New rent is $689.26 and includes water, sewer, and garbage. Information not verified. Directions: Rancho San Luis is on the corner of Prado Rd and S Higuera.